Good culture is born of a good disposition; and since the cause is more to be praised than the effect, I will rather praise a good disposition without culture, than good culture without the disposition. Love shows itself more in adversity than in prosperity; as light does, which shines most where the place is darkest. 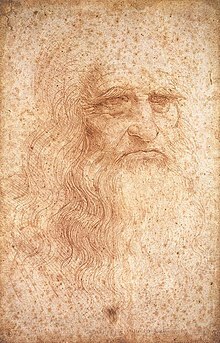 Leonardo di ser Piero da Vinci (April 15, 1452 – May 2, 1519) was an Italian Renaissance architect, musician, inventor, engineer, sculptor, and painter. 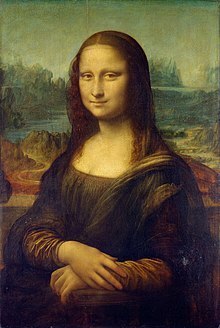 His most famous painting is the Mona Lisa. My works are the issue of pure and simple experience, who is the one true mistress. Let no man who is not a Mathematician read the elements of my work. I know that many will call this useless work. The eye — which sees all objects reversed — retains the images for some time. 1.1.15 XIX Philosophical Maxims. Morals. Polemics and Speculations. 1.1.17 XXI Letters. Personal Records. Dated Notes. Painting is poetry which is seen and not heard, and poetry is a painting which is heard but not seen. These two arts, you may call them both either poetry or painting, have here interchanged the senses by which they penetrate to the intellect. Oysters open completely when the moon is full; and when the crab sees one it throws a piece of stone or seaweed into it and the oyster cannot close again so that it serves the crab for meat. Such is the fate of him who opens his mouth too much and thereby puts himself at the mercy of the listener. Tristo é lo discepolo che non avanza il suo maestro. Any one who in discussion relies upon authority uses, not his understanding, but rather his memory. The Book of the science of Mechanics must precede the Book of useful inventions. Seeing that I can find no subject specially useful or pleasing — since the men who have come before me have taken for their own every useful or necessary theme — I must do like one who, being poor, comes last to the fair, and can find no other way of providing himself than by taking all the things already seen by other buyers, and not taken but refused by reason of their lesser value. I, then, will load my humble pack with this despised and rejected merchandise, the refuse of so many buyers; and will go about to distribute it, not indeed in great cities, but in the poorer towns, taking such a price as the wares I offer may be worth. Though I may not, like them, be able to quote other authors, I shall rely on that which is much greater and more worthy — on experience, the mistress of their Masters. They go about puffed up and pompous, dressed and decorated with [the fruits], not of their own labours, but of those of others. And they will not allow me my own. They will scorn me as an inventor; but how much more might they — who are not inventors but vaunters and declaimers of the works of others — be blamed. Those men who are inventors and interpreters between Nature and Man, as compared with boasters and declaimers of the works of others, must be regarded and not otherwise esteemed than as the object in front of a mirror, when compared with its image seen in the mirror. For the first is something in itself, and the other nothingness. — Folks little indebted to Nature, since it is only by chance that they wear the human form and without it I might class them with the herds of beasts. Many will think they may reasonably blame me by alleging that my proofs are opposed to the authority of certain men held in the highest reverence by their inexperienced judgments; not considering that my works are the issue of pure and simple experience, who is the one true mistress. These rules are sufficient to enable you to know the true from the false — and this aids men to look only for things that are possible and with due moderation — and not to wrap yourself in ignorance, a thing which can have no good result, so that in despair you would give yourself up to melancholy. Among all the studies of natural causes and reasons Light chiefly delights the beholder; and among the great features of Mathematics the certainty of its demonstrations is what preeminently (tends to) elevate the mind of the investigator. Perspective, therefore, must be preferred to all the discourses and systems of human learning. In this branch [of science] the beam of light is explained on those methods of demonstration which form the glory not so much of Mathematics as of Physics and are graced with the flowers of both. If the Lord — who is the light of all things — vouchsafe to enlighten me, I will treat of Light; wherefore I will divide the present work into 3 Parts... Linear Perspective, The Perspective of Colour, The Perspective of Disappearance. These rules are of use only in correcting the figures; since every man makes some mistakes in his first compositions and he who knows them not, cannot amend them. But you, knowing your errors, will correct your works and where you find mistakes amend them, and remember never to fall into them again. But if you try to apply these rules in composition you will never make an end, and will produce confusion in your works. These rules will enable you to have a free and sound judgment; since good judgment is born of clear understanding, and a clear understanding comes of reasons derived from sound rules, and sound rules are the issue of sound experience — the common mother of all the sciences and arts. Hence, bearing in mind the precepts of my rules, you will be able, merely by your amended judgment, to criticise and recognise every thing that is out of proportion in a work, whether in the perspective or in the figures or any thing else. The eye — which sees all objects reversed — retains the images for some time. This conclusion is proved by the results; because, the eye having gazed at light retains some impression of it. After looking (at it) there remain in the eye images of intense brightness, that make any less brilliant spot seem dark until the eye has lost the last trace of the impression of the stronger light. The Pyramid is the name I apply to the lines which, starting from the surface and edges of each object, converge from a distance and meet in a single point. The instant the atmosphere is illuminated it will be filled with an infinite number of images which are produced by the various bodies and colours assembled in it. And the eye is the target, a lodestone, of these images. Nothing is that which fills no space. If one single point placed in a circle may be the starting point of an infinite number of lines, and the termination of an infinite number of lines, there must be an infinite number of points separable from this point, and these when reunited become one again; whence it follows that the part may be equal to the whole. The point, being indivisible, occupies no space. That which occupies no space is nothing. The limiting surface of one thing is the beginning of another. The line has in itself neither matter nor substance and may rather be called an imaginary idea than a real object; and this being its nature it occupies no space. Therefore an infinite number of lines may be conceived of as intersecting each other at a point, which has no dimensions and is only of the thickness (if thickness it may be called) of one single line. The boundaries of bodies are the least of all things. The proposition is proved to be true, because the boundary of a thing is a surface, which is not part of the body contained within that surface; nor is it part of the air surrounding that body, but is the medium interposted between the air and the body, as is proved in its place. Drawing is based upon perspective, which is nothing else than a thorough knowledge of the function of the eye. 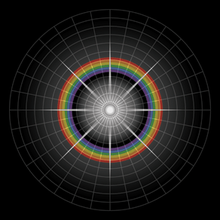 And this function simply consists in receiving in a pyramid the forms and colours of all the objects placed before it. I say in a pyramid, because there is no object so small that it will not be larger than the spot where these pyramids are received into the eye. Therefore, if you extend the lines from the edges of each body as they converge you will bring them to a single point, and necessarily the said lines must form a pyramid. Perspective is nothing more than a rational demonstration applied to the consideration of how objects in front of the eye transmit their image to it, by means of a pyramid of lines. The Pyramid is the name I apply to the lines which, starting from the surface and edges of each object, converge from a distance and meet in a single point. All objects transmit their image to the eye in pyramids, and the nearer to the eye these pyramids are intersected the smaller will the image appear of the objects which cause them. That the atmosphere attracts to itself, like a lodestone, all the images of the objects that exist in it, and not their forms merely but their nature may be clearly seen by the sun, which is a hot and luminous body. All the atmosphere, which is the all-pervading matter, absorbs light and heat, and reflects in itself the image of the source of that heat and splendor and, in each minutest portion, does the same. The north pole does the same as the lode stone shows; and the moon and the other planets, without suffering any diminution, do the same. All bodies together, and each by itself, give off to the surrounding air an infinite number of images which are all-pervading and each complete, each conveying the nature, colour and form of the body which produces it. Every body in light and shade fills the surrounding air with infinite images of itself; and these, by infinite pyramids diffused in the air, represent this body throughout space and on every side. The body of the atmosphere is full of infinite radiating pyramids produced by the objects existing in it. These intersect and cross each other with independent convergence without interfering with each other and pass through all the surrounding atmosphere; and are of equal force and value — all being equal to each, each to all. And by means of these, images of the body are transmitted everywhere and on all sides, and each receives in itself every minutest portion of the object that produces it. All objects project their whole image and likeness, diffused and mingled in the whole of the atmosphere, opposite to themselves. The image of every point of the bodily surface, exists in every part of the atmosphere. All the images of the objects are in every part of the atmosphere. It is impossible that the eye should project from itself, by visual rays, the visual virtue, since, as soon as it opens, that front portion [of the eye] which would give rise to this emanation would have to go forth to the object and this it could not do without time. And this being so, it could not travel so high as the sun in a month's time when the eye wanted to see it. All the rays which convey the images of objects through the air are straight lines. Hence, if the images of very large bodies have to pass through very small holes, and beyond these holes recover their large size, the lines must necessarily intersect. O neglectful Nature, wherefore art thou thus partial, becoming to some of thy children a tender and benignant mother, to others a most cruel and ruthless stepmother? I see thy children given into slavery to others without ever receiving any benefit, and in lieu of any reward for the services they have done for them they are repaid by the severest punishments. The Medici created and destroyed me. Shadow is the means by which bodies display their form. The forms of bodies could not be understood in detail but for shadow. No small hole can so modify the convergence of rays of light as to prevent, at a long distance, the transmission of the true form of the luminous body causing them. Shadow is not the absence of light, merely the obstruction of the luminous rays by an opaque body. Shadow is of the nature of darkness. Light is of the nature of a luminous body; one conceals and the other reveals. They are always associated and inseparable from all objects. But shadow is a more powerful agent than light, for it can impede and entirely deprive bodies of their light, while light can never entirely expel shadow from a body, that is from an opaque body. Shadow partakes of the nature of universal matter. All such matters are more powerful in their beginning and grow weaker towards the end, I say at the beginning, whatever their form or condition may be and whether visible or invisible. And it is not from small beginnings that they grow to a great size in time; as it might be a great oak which has a feeble beginning from a small acorn. Yet I may say that the oak is most powerful at its beginning, that is where it springs from the earth, which is where it is largest. Darkness is absence of light. Shadow is diminution of light. The eye can best distinguish the forms of objects when it is placed between the shaded and the illuminated parts. The outlines and form of any part of a body in light and shade are indistinct in the shadows and in the high lights; but in the portions between the light and the shadows they are highly conspicuous. A single and distinct luminous body causes stronger relief in the object than a diffused light; as may be seen by comparing one side of a landscape illuminated by the sun, and one overshadowed by clouds, and so illuminated only by the diffused light of the atmosphere. If you transmit the rays of the sun through a hole in the shape of a star you will see a beautiful effect of perspective in the spot where the sun's rays fall. I ask how far away the eye can discern a non-luminous body, as, for instance, a mountain. It will be very plainly visible if the sun is behind it; and could be seen at a greater or less distance according to the sun's place in the sky. A shadow will appear dark in proportion to the brilliancy of the light surrounding it and conversely it will be less conspicuous where it is seen against a darker background. A dark object seen against a bright background will appear smaller than it is. A light object will look larger when it is seen against a background darker than itself. 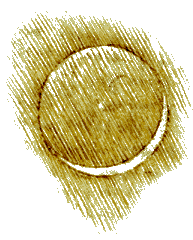 A luminous body when obscured by a dense atmosphere will appear smaller; as may be seen by the moon or sun veiled by fogs. Of several luminous bodies of equal size and brilliancy and at an equal distance, that will look the largest which is surrounded by the darkest background. I find that any luminous body when seen through a dense and thick mist diminishes in proportion to its distance from the eye. Thus it is with the sun by day, as well as the moon and the other eternal lights by night. And when the air is clear, these luminaries appear larger in proportion as they are farther from the eye. A luminous body will appear more brilliant in proportion as it is surrounded by deeper shadow. The variety of colour in objects cannot be discerned at a great distance, excepting in those parts which are directly lighted up by the solar rays. The sun gives spirit and life to plants and the earth nourishes them with moisture. A picture or representation of human figures, ought to be done in such a way as that the spectator may easily recognise, by means of their attitudes, the purpose in their minds. If you are representing a white body let it be surrounded by ample space, because as white has no colour of its own, it is tinged and altered in some degree by the colour of the objects surrounding it. A picture or representation of human figures, ought to be done in such a way as that the spectator may easily recognise, by means of their attitudes, the purpose in their minds. Thus, if you have to represent a man of noble character in the act of speaking, let his gestures be such as naturally accompany good words; and, in the same way, if you wish to depict a man of a brutal nature, give him fierce movements; as with his arms flung out towards the listener, and his head and breast thrust forward beyond his feet, as if following the speaker's hands. Thus it is with a deaf and dumb person who, when he sees two men in conversation — although he is deprived of hearing — can nevertheless understand, from the attitudes and gestures of the speakers, the nature of their discussion. When you wish to represent a man speaking to a number of people, consider the matter of which he has to treat and adapt his action to the subject. Thus, if he speaks persuasively, let his action be appropriate to it. If the matter in hand be to set forth an argument, let the speaker, with the fingers of the right hand hold one finger of the left hand, having the two smaller ones closed; and his face alert, and turned towards the people with mouth a little open, to look as though he spoke; and if he is sitting let him appear as though about to rise, with his head forward. If you represent him standing make him leaning slightly forward with body and head towards the people. These you must represent as silent and attentive, all looking at the orator's face with gestures of admiration; and make some old men in astonishment at the things they hear, with the corners of their mouths pulled down and drawn in, their cheeks full of furrows, and their eyebrows raised, and wrinkling the forehead where they meet. If you condemn painting, which is the only imitator of all visible works of nature, you will certainly despise a subtle invention which brings philosophy and subtle speculation to the consideration of the nature of all forms — seas and plains, trees, animals, plants and flowers — which are surrounded by shade and light. And this is true knowledge and the legitimate issue of nature; for painting is born of nature — or, to speak more correctly, we will say it is the grandchild of nature; for all visible things are produced by nature, and these her children have given birth to painting. Hence we may justly call it the grandchild of nature and related to God. The eye, which is called the window of the soul, is the principal means by which the central sense can most completely and abundantly appreciate the infinite works of nature; and the ear is the second, which acquires dignity by hearing of the things the eye has seen. If you, historians, or poets, or mathematicians had not seen things with your eyes you could not report of them in writing. And if you, O poet, tell a story with your pen, the painter with his brush can tell it more easily, with simpler completeness and less tedious to be understood. And if you call painting dumb poetry, the painter may call poetry blind painting. Now which is the worse defect? to be blind or dumb? Though the poet is as free as the painter in the invention of his fictions they are not so satisfactory to men as paintings; for, though poetry is able to describe forms, actions and places in words, the painter deals with the actual similitude of the forms, in order to represent them. Now tell me which is the nearer to the actual man: the name of man or the image of the man. The name of man differs in different countries, but his form is never changed but by death. Truth at last cannot be hidden. Dissimulation is of no avail. Dissimulation is to no purpose before so great a judge. … Nothing is hidden under the sun. Movement will cease before we are weary of being useful. We, by our arts may be called the grandsons of God. Variant: Ivy is [a type] of longevity. Fire destroys falsehood, that is sophistry, and restores truth, driving out darkness. Fire destroys all sophistry, that is deceit; and maintains truth alone, that is gold. Truth at last cannot be hidden. Dissimulation is of no avail. Dissimulation is to no purpose before so great a judge. Falsehood puts on a mask. Nothing is hidden under the sun. Movement will fail sooner than usefulness. When the sun appears which dispels darkness in general, you put out the light which dispelled it for you in particular for your need and convenience. Constancy does not begin, but is that which perseveres. Nothing is so much to be feared as Evil Report. Such as harm is when it hurts me not, is good which avails me not. By the side of this passage is a sketch of a cage with a bird sitting in it. Of the horse I will say nothing because I know the times. If you wish to make a figure in marble, first make one of clay, and when you have finished it, let it dry and place it in a case which should be large enough, after the figure is taken out of it, to receive also the marble, from which you intend to reveal the figure in imitation of the one in clay. To manage the large mould make a model of the small mould, make a small room in proportion. The Common Sense, is that which judges of things offered to it by the other senses. The ancient speculators have concluded that that part of man which constitutes his judgment is caused by a central organ to which the other five senses refer everything by means of impressibility; and to this centre they have given the name Common Sense. And they say that this Sense is situated in the centre of the head between Sensation and Memory. And this name of Common Sense is given to it solely because it is the common judge of all the other five senses i.e. Seeing, Hearing, Touch, Taste and Smell. This Common Sense is acted upon by means of Sensation which is placed as a medium between it and the senses. Sensation is acted upon by means of the images of things presented to it by the external instruments, that is to say the senses which are the medium between external things and Sensation. In the same way the senses are acted upon by objects. Surrounding things transmit their images to the senses and the senses transfer them to the Sensation. Sensation sends them to the Common Sense, and by it they are stamped upon the memory and are there more or less retained according to the importance or force of the impression. Though human ingenuity may make various inventions which, by the help of various machines answering the same end, it will never devise any inventions more beautiful, nor more simple, nor more to the purpose than Nature does; because in her inventions nothing is wanting, and nothing is superfluous, and she needs no counterpoise when she makes limbs proper for motion in the bodies of animals. But she puts into them the soul of the body, which forms them that is the soul of the mother which first constructs in the womb the form of the man and in due time awakens the soul that is to inhabit it. The soul seems to reside in the judgment, and the judgment would seem to be seated in that part where all the senses meet; and this is called the Common Sense and is not all-pervading throughout the body, as many have thought. Rather is it entirely in one part. Because, if it were all-pervading and the same in every part, there would have been no need to make the instruments of the senses meet in one centre and in one single spot; on the contrary it would have sufficed that the eye should fulfil the function of its sensation on its surface only, and not transmit the image of the things seen, to the sense, by means of the optic nerves, so that the soul — for the reason given above — may perceive it in the surface of the eye. King of the animals — as thou hast described him — I should rather say king of the beasts, thou being the greatest — because thou hast spared slaying them, in order that they may give thee their children for the benefit of the gullet, of which thou hast attempted to make a sepulchre for all animals; and I would say still more, if it were allowed me to speak the entire truth . But we do not go outside human matters in telling of one supreme wickedness, which does not happen among the animals of the earth, inasmuch as among them are found none who eat their own kind, unless through want of sense. The earth is not in the centre of the Sun's orbit nor at the centre of the universe, but in the centre of its companion elements, and united with them. The earth is not in the centre of the Sun's orbit nor at the centre of the universe, but in the centre of its companion elements, and united with them. And any one standing on the moon, when it and the sun are both beneath us, would see this our earth and the element of water upon it just as we see the moon, and the earth would light it as it lights us. And if you should say that the shells were carried by the waves, being empty and dead, I say that where the dead went they were not far removed from the living; for in these mountains living ones are found, which are recognisable by the shells being in pairs; and they are in a layer where there are no dead ones; and a little higher up they are found, where they were thrown by the waves, all the dead ones with their shells separated, near to where the rivers fell into the sea, to a great depth; like the Arno which fell from the Gonfolina near to Monte Lupo, where it left a deposit of gravel which may still be seen, and which has agglomerated; and of stones of various districts, natures, and colours and hardness, making one single conglomerate. And a little beyond the sandstone conglomerate a tufa has been formed, where it turned towards Castel Florentino; farther on, the mud was deposited in which the shells lived, and which rose in layers according to the levels at which the turbid Arno flowed into that sea. And from time to time the bottom of the sea was raised, depositing these shells in layers, as may be seen in the cutting at Colle Gonzoli, laid open by the Arno which is wearing away the base of it; in which cutting the said layers of shells are very plainly to be seen in clay of a bluish colour, and various marine objects are found there. And if the earth of our hemisphere is indeed raised by so much higher than it used to be, it must have become by so much lighter by the waters which it lost through the rift between Gibraltar and Ceuta; and all the more the higher it rose, because the weight of the waters which were thus lost would be added to the earth in the other hemisphere. And if the shells had been carried by the muddy deluge they would have been mixed up, and separated from each other amidst the mud, and not in regular steps and layers — as we see them now in our time. XIX Philosophical Maxims. Morals. Polemics and Speculations. O Man, who will discern in this work of mine the wonderful works of Nature, if you think it would be a criminal thing to destroy it, reflect how much more criminal it is to take the life of a man; and if this, his external form, appears to thee marvellously constructed, remember that it is nothing as compared with the soul that dwells in that structure; for that indeed, be it what it may, is a thing divine. Leave it then to dwell in His work at His good will and pleasure, and let not your rage or malice destroy a life — for indeed, he who does not value it, does not himself deserve it. Every action needs to be prompted by a motive. To know and to will are two operations of the human mind. Discerning, judging, deliberating are acts of the human mind. Nature is full of infinite causes that have never occurred in experience. Now you see that the hope and the desire of returning home and to one's former state is like the moth to the light, and that the man who with constant longing awaits with joy each new spring time, each new summer, each new month and new year — deeming that the things he longs for are ever too late in coming — does not perceive that he is longing for his own destruction. But this desire is the very quintessence, the spirit of the elements, which finding itself imprisoned with the soul is ever longing to return from the human body to its giver. And you must know that this same longing is that quintessence, inseparable from nature, and that man is the image of the world. O sleepers! what a thing is slumber! Sleep resembles death. Ah, why then dost thou not work in such wise as that after death thou mayst retain a resemblance to perfect life, when, during life, thou art in sleep so like to the hapless dead? Variant: Just as iron rusts from disuse... even so does inaction spoil the intellect. Blind ignorance misleads us thus and delights with the results of lascivious joys. Because it does not know the true light. Because it does not know what is the true light. Vain splendour takes from us the power of being .... behold! for its vain splendour we go into the fire, thus blind ignorance does mislead us. That is, blind ignorance so misleads us that... O! wretched mortals, open your eyes. We ought not to desire the impossible. Chi non punisce il male comanda che si faccia. Fear arises sooner than anything else. The lover is moved by the beloved object as the senses are by sensual objects; and they unite and become one and the same thing. The work is the first thing born of this union; if the thing loved is base the lover becomes base. When that which loves is united to the thing beloved it can rest there; when the burden is laid down it finds rest there. There will be eternal fame also for the inhabitants of that town, constructed and enlarged by him. These notes were possibly written in preparation for a letter. The meaning is obscure. Many have made a trade of delusions and false miracles, deceiving the stupid multitude. Pharisees — that is to say, friars. It is true that impatience, the mother of stupidity, praises brevity, as if such persons had not life long enough to serve them to acquire a complete knowledge of one single subject, such as the human body; and then they want to comprehend the mind of God in which the universe is included, weighing it minutely and mincing it into infinite parts, as if they had to dissect it! Oh! human stupidity, do you not perceive that, though you have been with yourself all your life, you are not yet aware of the thing you possess most of, that is of your folly? and then, with the crowd of sophists, you deceive yourselves and others, despising the mathematical sciences, in which truth dwells and the knowledge of the things included in them. And then you occupy yourself with miracles, and write that you possess information of those things of which the human mind is incapable and which cannot be proved by any instance from nature. And you fancy you have wrought miracles when you spoil a work of some speculative mind, and do not perceive that you are falling into the same error as that of a man who strips a tree of the ornament of its branches covered with leaves mingled with the scented blossoms or fruit. In order to prove whether the spirit can speak or not, it is necessary in the first place to define what a voice is and how it is generated. Amid the vastness of the things among which we live, the existence of nothingness holds the first place; its function extends over all things that have no existence, and its essence, as regards time, lies precisely between the past and the future, and has nothing in the present. This nothingness has the part equal to the whole, and the whole to the part, the divisible to the indivisible; and the product of the sum is the same whether we divide or multiply, and in addition as in subtraction; as is proved by arithmeticians by their tenth figure which represents zero; and its power has not extension among the things of Nature. What is called Nothingness is to be found only in time and in speech. In time it stands between the past and future and has no existence in the present; and thus in speech it is one of the things of which we say: They are not, or they are impossible. O mighty and once living instrument of formative nature. Incapable of availing thyself of thy vast strength thou hast to abandon a life of stillness and to obey the law which God and time gave to procreative nature. Of the lightning in clouds. We see the most striking example of humility in the lamb… so that very often it has been seen that the lions forbear to kill them. Things that are separate shall be united and acquire such virtue that they will restore to man his lost memory. First, of things relating to animals; secondly, of irrational creatures; thirdly of plants; fourthly, of ceremonies; fifthly, of manners; sixthly, of cases or edicts or quarrels; seventhly, of cases that are impossible in nature [paradoxes], as, for instance, of those things which, the more is taken from them, the more they grow. And reserve the great matters till the end, and the small matters give at the beginning. There will be many who will eagerly and with great care and solicitude follow up a thing, which, if they only knew its malignity, would always terrify them. Of those men, who, the older they grow, the more avaricious they become, whereas, having but little time to stay, they should become more liberal. Of the Tongues of Pigs and Calves in Sausage-skins. One who by himself is mild enough and void of all offence will become terrible and fierce by being in bad company, and will most cruelly take the life of many men, and would kill many more if they were not hindered by bodies having no soul, that have come out of caverns — that is, breastplates of iron. "Of Water, which flows turbid and mixed with Soil and Dust; and of Mist, which is mixed with the Air; and of Fire which is mixed with its own, and each with each." "Of Hemispheres, which are infinite; and which are divided by an infinite number of Lines, so that every Man always has one of these Lines between his Feet." "Of the Cruelty of Man"
"The Ball of Snow rolling over Snow"
"In the East wind which rushes to the West"
Happy will they be who lend ear to the words of the Dead. Men out of fear will cling to the thing they most fear. The bones of the Dead will be seen to govern the fortunes of him who moves them. XXI Letters. Personal Records. Dated Notes. May it please our great Author that I may demonstrate the nature of man and his customs, in the way I describe his figure. When I did well, as a boy you used to put me in prison. Now if I do it being grown up, you will do worse to me. This was written in his notebooks in despair of so many projects that were never completed. If any man could have discovered the utmost powers of the cannon, in all its various forms and have given such a secret to the Romans, with what rapidity would they have conquered every country and have vanquished every army, and what reward could have been great enough for such a service! Archimedes indeed, although he had greatly damaged the Romans in the siege of Syracuse, nevertheless did not fail of being offered great rewards from these very Romans; and when Syracuse was taken, diligent search was made for Archimedes; and he being found dead greater lamentation was made for him by the Senate and people of Rome than if they had lost all their army; and they did not fail to honour him with burial and with a statue. Reserve the great matters till the end, and the small matters give at the beginning. The mind passes in an instant from east to west; and all the great incorporeal things resemble these very closely in speed. While I thought I have been learning how to live, I have been learning how to die. Where there is most power of feeling, there of martyrs is the greatest martyr. Science, knowledge of the things that are possible present and past; prescience, knowledge of the things which may come to pass. To enjoy—to love a thing for its own sake and for no other reason. Observe the light and consider its beauty. Blink your eye and look at it. That which you see was not there at first, and that which was there is there no more. The water which rises in the mountain is the blood which keeps the mountain in life. He who does not value life does not deserve it. Nature is full of infinite causes which were never set forth in experience. Wine is good, but water is preferable at table. He who suffers time to slip away and does not grow in virtue the more one thinks about him the sadder one becomes. No man has a capacity for virtue who sacrifices honour for gain. Fortune is powerless to help one who does not exert himself. That man becomes happy who follows Christ. There is no perfect gift without great suffering. Our triumphs and our pomps pass away; gluttony and sloth and enervating luxury have banished every virtue from the world; so that as it were wandering from its course our nature is subdued by habit. Now and henceforth it is meet that you cure yourself of laziness. The Master has said that sitting on down or lying under the quilts will not bring thee to fame. He who without it has frittered life away leaves no more trace of himself upon the earth than smoke does in the air or the foam on the water. Since the wings are swifter to press the air than the air is to escape from beneath the wings the air becomes condensed and resists the movement of the wings; and the motive power of these wings by subduing the resistance of the air raises itself in a contrary movement to the movement of the wings. A bird makes the same use of wings and tail in the air as a swimmer does of his arms and legs in the water. Every body that is moved continues to move so long as the impression of the force of its mover is retained in it, therefore the movement of this wing with violence... will come to move the whole bird with it until the impetus of the moved air has been consumed. Remember that your bird should have no other model than the bat, because its membranes serve as an armour or rather as a means of building together the pieces of its armour, that is the framework of the wings. If you take as your pattern the wings of feathered birds, these are more powerful in structure of bone and sinew because they are penetrable, that is to say the feathers are separated from one another and the air passes through them. But the bat is aided by its membrane, which binds the whole together and is not penetrated by the air. Swimming upon water teaches men how birds do upon the air. The air which is struck with most swiftness by the movable thing is compressed to the greatest degree in itself. The function which the wing performs against the air when the air is motionless is the same as that of the air moved against the wings when these are without motion. It is always the under side of the branches of any plant that show themselves to the wind which strikes it, and one leans against the other. That part of the air which is nearest to the wing which presses on it, will have the greatest density. The properties of the air are such that it may become condensed or rarefied. No impetus created by any movement whatever can be immediately consumed, but if it finds an object which has a great resistance it consumes itself in a reflex movement. Impetus is a power of the mover applied in a movable thing which causes the movable thing to move after it is separated from its mover. Painting is concerned with all the ten attributes of sight, namely darkness and brightness, substance and colour, form and place, remoteness and nearness, movement and rest; and it is with these attributes that this my small book will be woven, recalling to the painter by what rules and in what way he ought by his art to imitate all things that are the work of nature and the adornment of the world. Whenever you make a figure of a man or of some graceful animal remember to avoid making it seem wooden; that is it should move with counterpoise and balance in such a way as not to seem a block of wood. I give the degrees of things seen by the eye as the musician does of the sounds heard by the ear. When you have drawn the same thing so many times that it seems that you know it by heart try to do it without the model; but having a tracing made of the model upon a thin piece of smooth glass and lay this upon the drawing you have made without the model. ...where you find that you have erred bear it in mind in order not to make the mistake again. ...if you cannot procure smooth glass to make a tracing... take a piece of very fine parchment well oiled and then dried, and when you have used it for for one drawing you can wipe this out with a sponge and do a second. You know that in an atmosphere of uniform density the most distant things seen through it, such as the mountains, in consequence of the great quantity of atmosphere which is between your eye and them, will appear blue. Therfore you should make the building... wall which is more distant less defined and bluer. ...five times as far away make five times as blue. Painting embraces and contains within itself all the things which nature produces or which results from the fortuitous actions of men... he is but a poor master who makes only a single figure well. Surely when a man is painting a picture he ought not refuse to hear any man's opinion... Since men are able to form a true judgement as to the works of nature, how much more does it behoove us to admit that they are able to judge our faults. Therefore you should be desirous of hearing patiently the opinions of others, and consider and reflect carefully whether or no he who censures you has reason for his censure; and correct your work if you find that he is right, but if not, then let it seem that you have not understood him, or, in case he is a man whom you esteem, show him by argument why it is that he is mistaken. Happy will be those who give ear to the words of the dead:—The reading of good works and the observing of their precepts. Feathers shall raise men towards the heaven even as they do the birds:—That is by the letters written by their quills. Things severed shall be united and shall acquire of themselves such virtue that they shall restore to men their lost memory:—That is the papyrus sheets, which are formed out of several strips and preserve the memory of the thoughts and deeds of men. Men will deal rude blows to that which is the cause of their life:—They will thrash the grain. The wind which passes through the skins of animals will make men leap up:—That is the bagpipes, which cause men to dance. This quotation was first used in print (and misattributed to Leonardo da Vinci) in a science fiction story published in 1975, The Storms of Windhaven. One of the authors, Lisa Tuttle, remembers that the quote was suggested by science fiction writer Ben Bova, who says he believes he got the quote from a TV documentary narrated by Fredric March, presumably I, Leonardo da Vinci, written by John H. Secondari for the series Saga of Western Man, which aired on 23 February 1965. Bova incorrectly assumed that he was quoting da Vinci. The probable author is John Hermes Secondari (1919-1975), American author and television producer. Quoted allegedly "From da Vinci`s Notes" in Jon Wynne-Tyson: The Extended Circle. A Dictionary of Humane Thought. Centaur Press 1985, p. 65 books.google. The master [Leonardo da Vinci] permits harm to no living creatures, not even to plants. Zoroastro tells me that from an early age he has abjured meat, and says that the time shall come when all men such as he will be content with a vegetable diet, and will think on the murder of animals as now they think on the murder of men (p. 226 books.google). However, despite the quote's false attribution, da Vinci was in fact a vegetarian. I awoke, only to find that the rest of the world is still asleep. 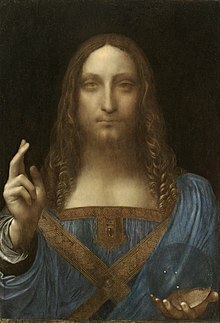 This derives from a comment about him written by Sigmund Freud, in Leonardo Da Vinci (1916): He was like a man who awoke too early in the darkness, while the others were all still asleep. Studying Leonardo... will not only allow us to recognize his science as a solid body of knowledge. It will also show why it cannot be understood without his art, nor his art without the science. Leonardo is the hamlet of art history whom each of us must recreate for ourselves. He was like a man who awoke too early in the darkness, while the others were all still asleep. Incredibly endowed both physically and mentally, he achieved greatness as a linguist, botanist, zoologist, anatomist, geologist, musician, sculptor, painter, architect, inventor, and engineer. Leonardo made quite a point of distrusting the knowledge that scholars professed so dogmatically. These men of book learning he described as strutting about puffed up and pompous, adorned not by their own labors but by the labors of others whose work they merely repeated... they did not deal with the real world. 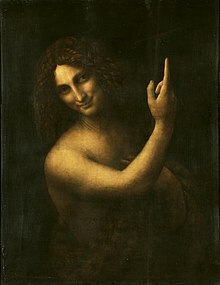 Leonardo did believe in the combination of theory and practice. Reading Leonardo one finds many statements suggesting that he was a learned mathematician and a profound philosopher who worked on the level of a professional mathematician. ...To pass beyond observation and experience there was for him only one trustworthy road through deceptions and mirages—mathematics. ...On the basis of such pronouncements, no doubt, Leonardo is often credited with being a greater mathematician than he actually was. 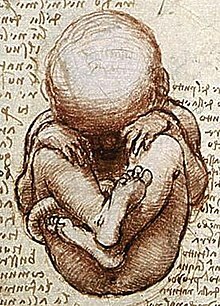 When one examines Leonardo's notebooks one realizes how little he knew of mathematics and that his approach was empirical and intuitive. What thinker has ever possessed the cosmic vision so insistently? He sought to establish the essential unity of structure of all living things, the earth an organism with veins and arteries, the body of a man a type of that of the world. The more the manuscripts of Leonardo are studied, the more one begins to see him not so much as a transcendent artist, but primarily as a man of science, whose skills and commissions as an artist and engineer enabled him to support his fascination with nature. International Vegetarian Union - about Leonardo's vegetarianism and his stance to animals. This page was last edited on 2 April 2019, at 15:54.